Located in the middle of a large real estate development eastern Vermont, Quechee Ski Area features generally novice and intermediate terrain, with upper mountain trails emptying into open slopes. 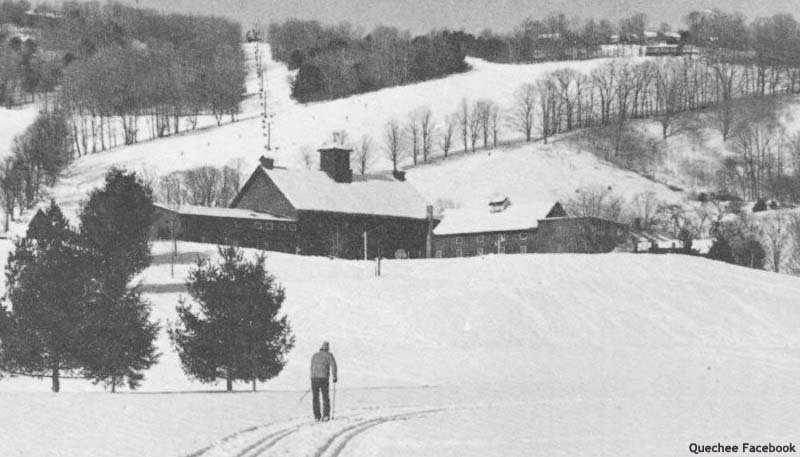 The Quechee Lakes Landowners' Association was established in the winter of 1970. 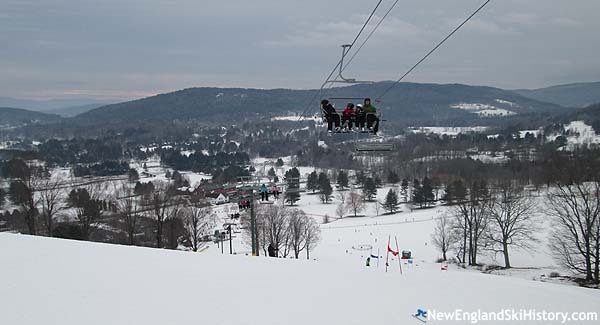 A centerpiece of winter recreation in the development, the Quechee ski area opened with a double chairlift for the 1970-71 season. A T-Bar was added half a decade later, serving novice lower mountain terrain. Quechee made regional headlines in 1992 when it hosted the state's alpine and nordic Special Olympics. After over 3 decades of service, the original double chairlift was replaced with a new Doppelmayr CTEC fixed grip quad chairlift in 2005. The double chairlift was later installed at Kendall Mountain in Colorado. The Quechee Ski Area continues to operate today with snowmaking, the quad chairlift, T-Bar, and a handle tow.